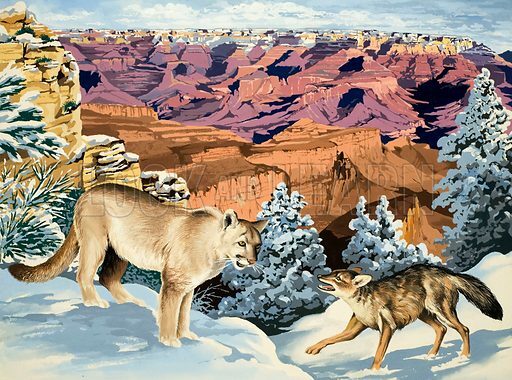 Peeps Into Nature: The Grand Canyon National Park. Puma and Coyote. Original artwork from Treasure no. 275 (20 April 1968). Available worldwide for immediate download up to 4,641 x 3,447 pixels.